Today, I decided to share my latest manicure that I'm wearing. It's the new limited edition Bedazzled colors by Milani. Enchanted Garnet is a dark reddish pearly color which looked more brown on me and was a bit streaky. Enchanted Sapphire is a blueish black cream that's pretty in the sun, but a bit too dark for me. I like Enchanted Lapis best. 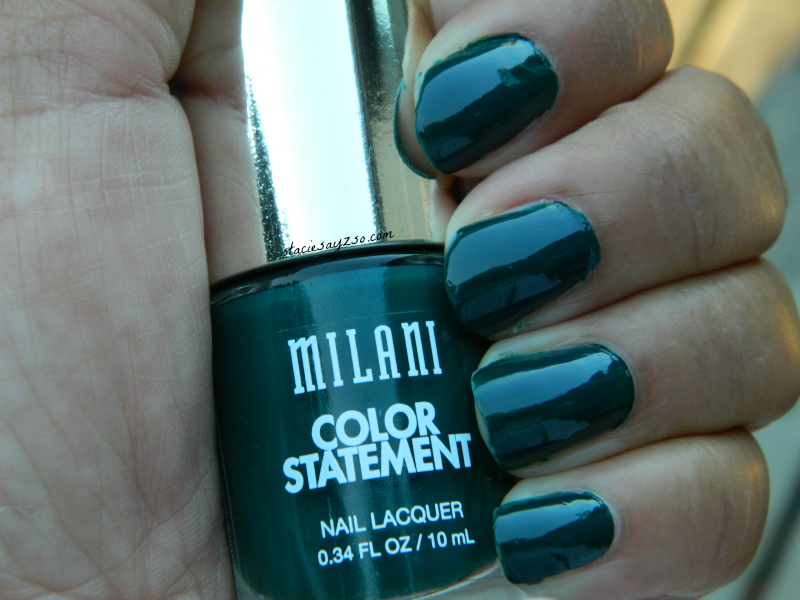 It's a nice, rich, forest green. Two coats is all you need for this thick, creamy, polish. I was surprised how long it last without chipping. 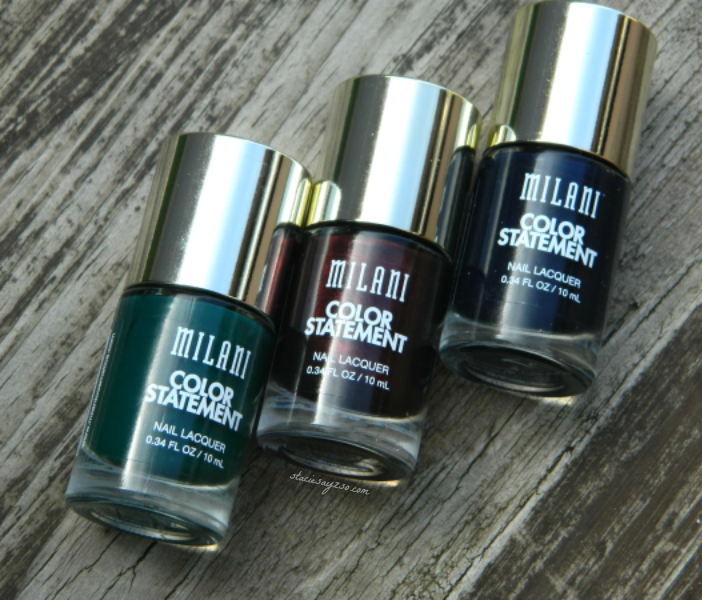 I've tried the regular Milani nail polish and it has chipped after a day. This one is still going strong after a couple of days, and I'm hard on my nails. I would definitely suggest the cream vs. the pearl colors. Is the second picture the same color you're wearing in the bigger picture? The second one looks like green and your manicure looks like Sapphire. Whichever it is it looks great on you. I'm not wearing anything on my nails right now, but I want to use a nice pearly red I have from Sinful Colors called Sugar Sugar. I have it on my toes now. These are all great autumn colors. You know when I saw the first color I was almost convinced that was the best color, but now that I look at all of them....SHOOT I LIKE them ALL! I will most certainly keep these colors in mind!